A day trip to Amsterdam to catch a film and do some Christmas shopping ended up becoming a train journey Brandon Hartley will never forget. It was just another perfectly normal Sunday. I went up to Amsterdam to see a movie and buy a few early Christmas presents. As the sun was setting, I joined a few hundred people waiting on Platform 1 at Amsterdam Central to cram themselves and all their shopping bags onto a crowded train. I managed to find a seat in a second class compartment across from a woman reading a Murakami novel. A group of international students were chatting in English across the aisle. As the dusk turned to darkness, we rolled through Haarlem and on towards Leiden. Somewhere north of Oegstgeest, the train’s driver hit the horn. Its wheels screeched against the rails while he pumped the brakes. I bounced around in my seat like I was on a ride at Efteling. Then we all heard a chilling noise. It sounded like a stick getting dragged across an old wooden fence. The noise rolled down the train as it ground to a halt. Not understanding the message, the students began muttering complaints. One of them only had a three minute connection to make at Leiden Centraal. Meanwhile, a family in first class gathered around an iPhone to watch a comedy sketch. The rest of us just sat there staring into space uncertain of what to do. In my experience, this is usually what happens when normal people are suddenly catapulted into the middle of a tragic or violent situation. They don’t scream or wail. Most just sit in stunned silence. The summer after I graduated from high school, I worked at a hospital where I ran equipment back and forth between clinics and a busy emergency room. I bore witness to countless families dealing with loss and pain. A few years ago, my girlfriend and I got caught in the middle of three soccer hooligans determined to beat themselves bloody on an overstuffed bus. All the while, the passengers around us simply stared at them or looked out the window like it wasn’t happening. While that song kept rolling around in my thoughts, our wait began. A few hours of eerie quiet broken by occasional translations for the students whenever the conductor made an announcement. I tried to avoid watching emergency workers walking back and forth outside. I’ll never forget the sounds of them pulling…..something out from under our carriage. I don’t think anyone on that train is going to be able to erase their memories of what happened. Maybe the boy I walked behind while we were evacuated onto another train. His father had placed his own baseball cap over the kid’s head, perhaps to prevent him from looking out of the windows. The boy focused on the floor instead and counted all the candy wrappers he could find as we were ushered to a metal platform across the gap between the trains. I wound up in a carriage across from two parents with their young daughter. She cheerfully rambled on and on about Hello Kitty while her parents did their best to keep her distracted. Collisions like this are one of the Netherlands’ largest taboos. The names of the victims are never revealed to the public, nor the details. Some are suicides and some are accidents. I don’t know and will never know why that scooter was on the tracks that night. Maybe it was somebody impatiently trying to zip through the crossing to avoid waiting for the train. Or perhaps that’s what they wanted their friends and loved ones to assume afterward. When I got off the train at Leiden Centraal nearly three hours after I departed Amsterdam, the screens on the platform were still overwhelmed with cancellation notices. Downstairs, frustrated travellers were gathered around wooden tables slowly sipping cups of Starbucks coffee. Just another perfectly normal Sunday? Unfortunately, yes, but thankfully less so in recent years. In the late 2000s, the Netherlands was considered the European leader for railway suicides. In 2011, ProRail was contending with an average of four suicides per week on train tracks around the country. They’ve since installed fences, surveillance cameras and improved lighting in many areas in an attempt to combat the problem. The railway operator began an extensive €30 million project in 2013 to install additional protective fencing along tracks. 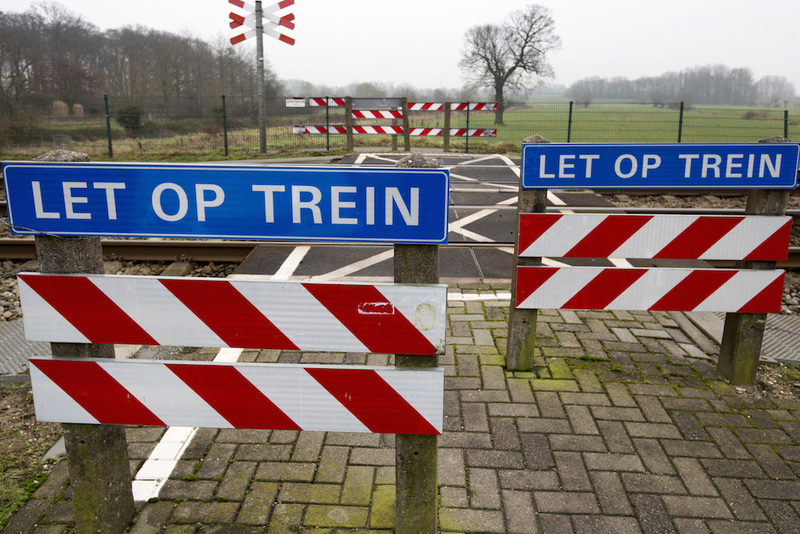 An area between Heemstede and Hillegom is now one of at least a few stretches where train drivers are required to slow down in order to prevent collisions with jumpers. While recent statistics from Eurostat suggest that these incidents are currently in decline, they continue as trains collide with suicidal people, copper thieves and others. The impact that these incidents have on train operators and passengers is dramatic. I and my fellow passengers are unlikely to forget what happened earlier this month anytime soon. I can’t imagine how the driver must feel. If you are struggling with suicidal thoughts, 113Online offers assistance in both English and Dutch. It’s an independent care provider funded by the government with telephone help lines staffed day and night and an online chat service.